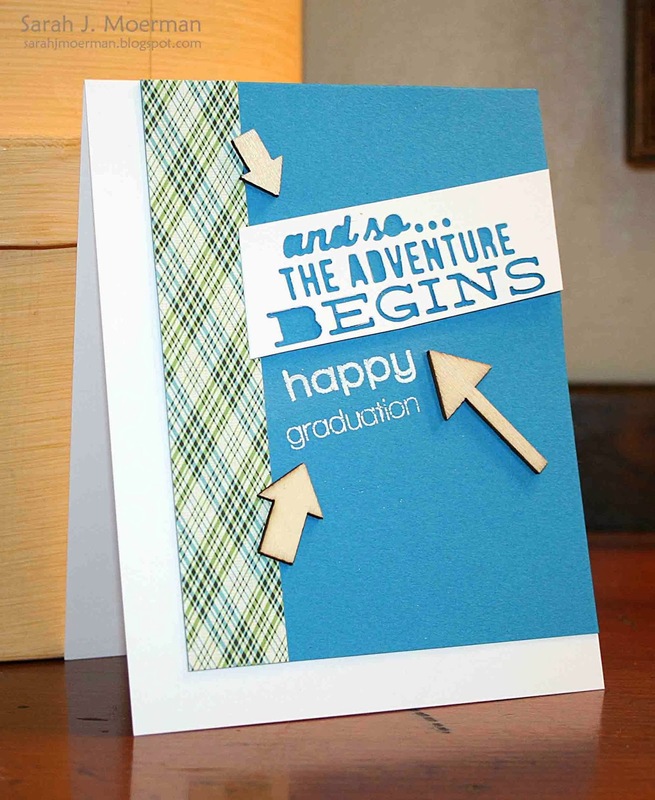 I'm stopping by to share some cards I made yesterday using the Kelly Purkey The Adventure Begins die that is exclusive to Simon Says Stamp. 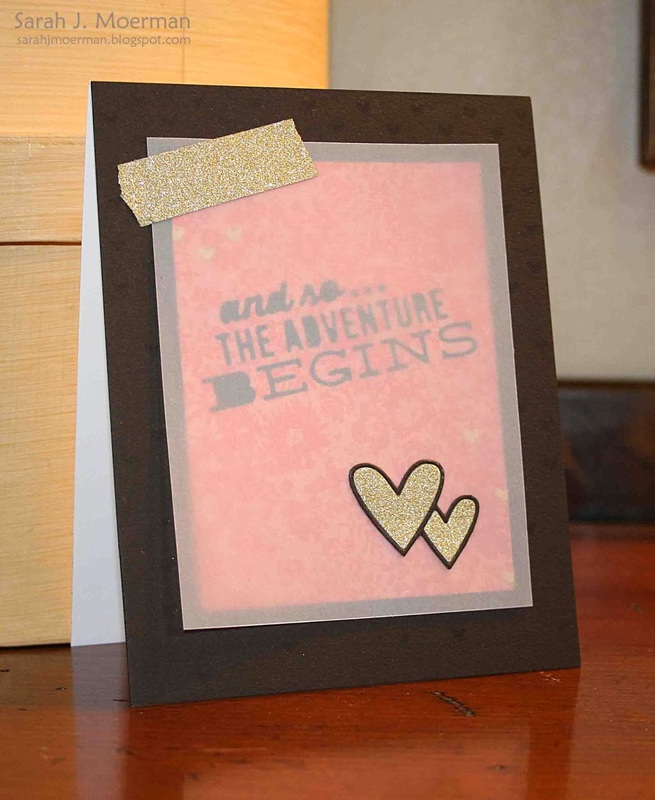 This die is the perfect size for Project Life albums (3x4) and is also a great size to use on cards. When I was reading the sentiment on this die I realized that there are so many aspects of life that can be considered an 'adventure'... travel, graduation, a move, a new baby, marriage, retirement. Life is full of adventure! There you go! Other then the 6 occasions I mentioned above, can you think of any other uses for this die? I'd love to hear your thoughts! 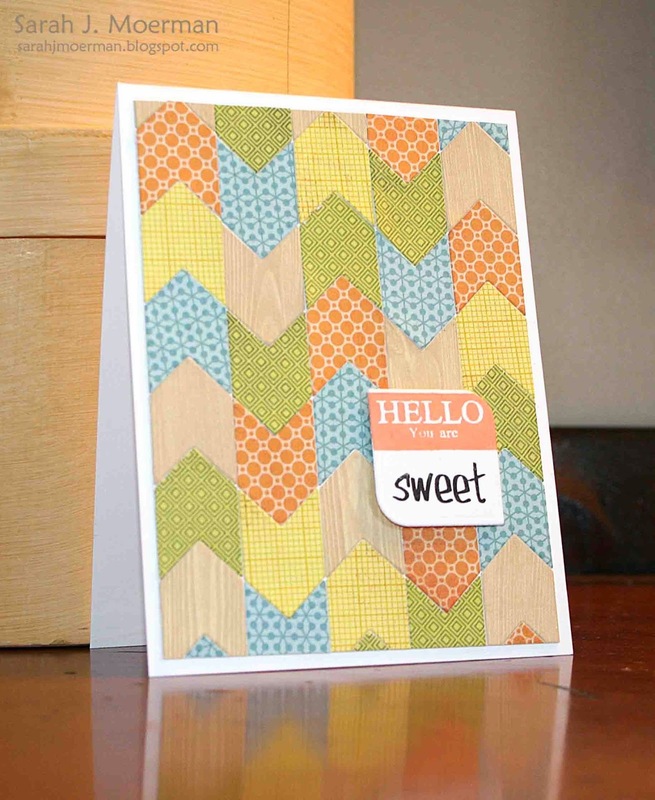 Today's card was created using some fun Avery Elle goodies along with some scraps of patterned paper. I used one of the dies from the Avery Elle Chevron Bits Die set and die cut various scraps of patterned paper, using them to create my background. I then used one of the dies from the Rounded Diamonds Die set as the basis for my sentiment which is stamped from the Hello stamp set. 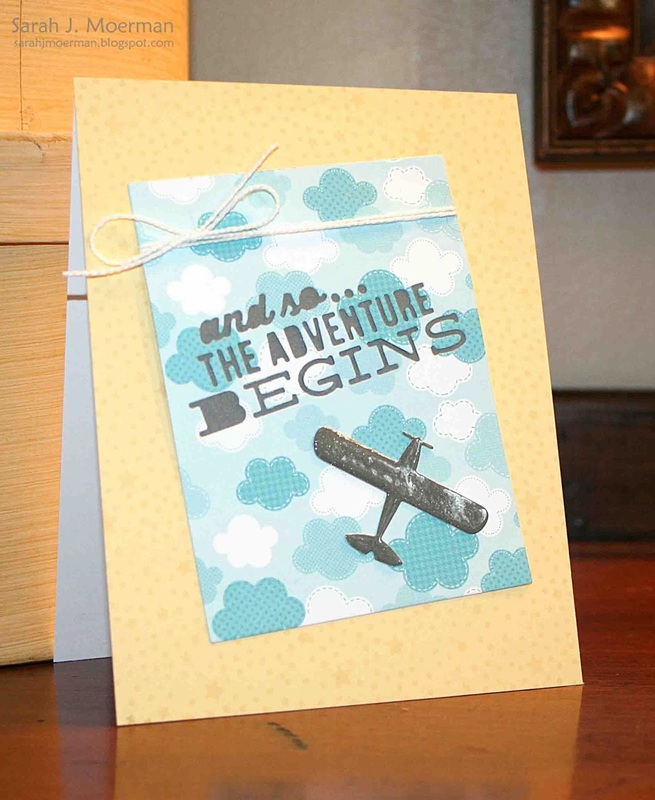 Hero Arts Hostess 2014 Catalog Blog Hop!! !